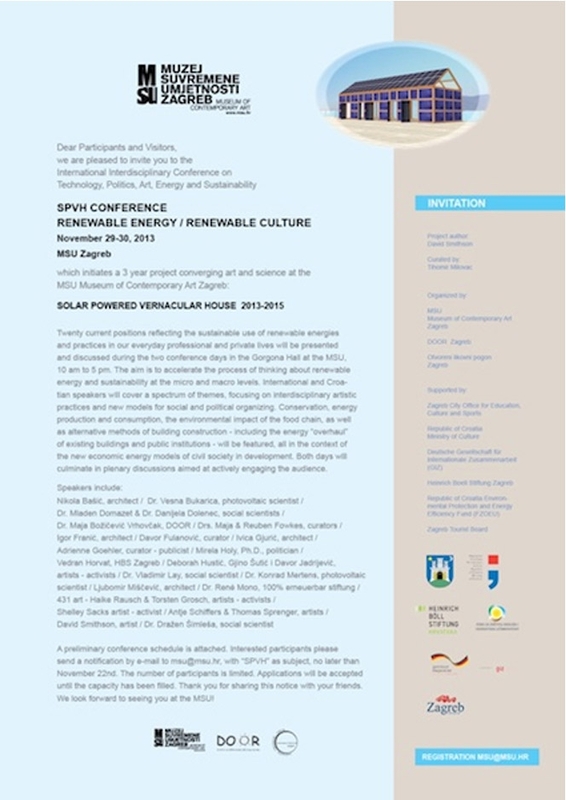 Twenty current positions reflecting the sustainable use of renewable energies and practices in our everyday professional and private lives will be presented and discussed during the two conference days. The aim is to accelerate the process of thinking about renewable energy and sustainability at the micro and macro levels. International and Croatian speakers will cover a spectrum of themes, focusing on interdisciplinary artistic practices and new models for social and political organizing.